More and more people all over the world are turning to chiropractors in order to reduce pain, increase function, and improve general wellbeing and quality of life. To such an extent that chiropractic has become the third most utilised healthcare profession worldwide after medicine and dentistry. The main reason that chiropractic has grown in popularity so quickly is due to high levels of patient satisfaction with the chiropractic approach to healthcare. In Bristol, back pain is a significant problem. Recent research from the British Chiropractic Association shows that 47% of people in the South West suffer from back or neck pain! Since its inception, chiropractic has always been concerned with the body’s innate ability to self-regulate and self-heal. One of the reasons chiropractic care is so effective is because we treat the person rather than the condition or symptom (patient-centred care). By identifying the barriers that are impeding healing in a specific patient, we are able to address these to reduce pain and to help lead the individual back towards feeling healthy, thus promoting overall wellbeing. Of course people come to chiropractors for different reasons. Some people want to just get rid of their pain, and that is fine. Pain is important because it is a warning sign that something is not right in the body and it should not be ignored. Some people are also interested in pursuing ways to correct the underlying problems in order to try and avoid recurrences. Other patients want to try and improve their overall health and wellbeing. How far a patient decides to go with their treatment plan is completely up to the individual patient. Although chiropractors are best known for treating back pain and neck pain, which they do very well, patients also consult chiropractors regarding a range of other, related conditions. Chiropractic is a primary contact health care profession with its own unique principles and practice. Chiropractic care, including diagnosis and management, focuses upon the relationship between structure, primarily the spine, and function, primarily via the nervous system, as it relates to health, posture and performance. A health profession concerned with the diagnosis, treatment and prevention of mechanical disorders of the musculoskeletal system, and the effects of these disorders on the function of the nervous system and general health. There is an emphasis on manual treatments including spinal adjustment and other joint and soft tissue manipulation. 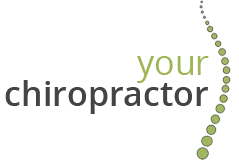 Tony Honeker is an independent chiropractor based in The Clandown Suite within Elm Hayes Surgery, Paulton and within Severn Way Surgery, Keynsham. His goal is to help the people of Paulton, Midsomer Norton, Keynsham and the surrounding communities to achieve a healthier and more balanced body.